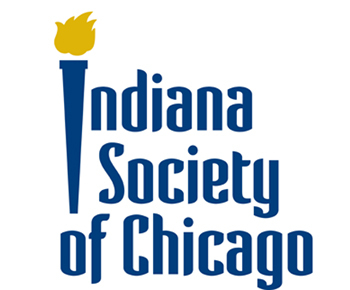 Indiana State University and the city of Terre Haute will be in the spotlight when the Indiana Society of Chicago Foundation hosts the society's annual Anniversary Dinner. The December 3 event will feature entertainment by Under the Streetlamp, whose members have performed in the Tony-award winning musical "Jersey Boys." The society, founded more than 100 years ago by notable Hoosiers George Ade and John McCutcheon and others attracted to the Midwest's premiere city at the peak of the industrial revolution, pays homage to its roots each year by recognizing outstanding Indiana institutions and leaders in a high-spirited holiday season celebration. This year the foundation will honor Indiana State and salute the city of Terre Haute along with former Chicago White Sox pitcher Tommy John, a Terre Haute native. The society's 106th annual dinner will take place in the Imperial Ballroom of the Fairmont Hotel at Chicago's Millennium Park. "Indiana State University is proud to have been selected for recognition this year by the Indiana Society," said university President Dan Bradley. "This is an exhilarating time for Indiana State and for Terre Haute. Momentum is building, and progress is visible. It is very exciting to think about where our community will be in another five to ten years." Indiana State currently serves more than 11,500 students. Enrollment is on the rebound as the university continues to implement a 2009 strategic plan that calls for more investment in its recognized areas of academic strength and building on its already strong commitment to experiential learning and community engagement. A separate facilities plan has the university upgrading student housing and athletic venues and includes a partnership with the city aimed at revitalizing the community's downtown and nearby neighborhoods and development of the Wabash River for recreation while protecting the environment along Indiana's state river. "Terre Haute is a growing and prosperous community with plenty to offer, with park and recreation areas along the river, a multi-use trail system, cultural events, and a wonderful downtown area," said Mayor Duke Bennett. "The quality of life afforded our community by partnerships such as the one with Indiana State U is at the forefront of our lifestyle. Enhancing the west central part of the city, the area that includes the ISU campus, is one goal that both entities believe in. Improving the quality of life in this key area will no doubt add to the overall appeal of the city. We are pleased to be recognized, along with such a great partner institution." Robert H. Heyde, president of the Indiana Society of Chicago, said "it is a proud tradition for the Indiana Society to honor outstanding Hoosier institutions and leaders and through our foundation to support education - and while we're at it to make new friends and have some fun. Our annual dinner has earned a reputation as a great one of a kind festive evening. Just as we honor ISU and salute Terre Haute and Tommy John, all representing the greatest tradition of Hoosier values, you can count on the unique talents of Under the Streetlamp to contribute their special brand of entertainment." While members of the Indiana Society of Chicago span business, government, education and other professions, all share enduring ties to the Hoosier state - be it work, education and/or birthplace. An important additional mission of the society is to provide scholarship assistance to greater-Chicago area students attending colleges and universities in Indiana. This year, the foundation will award five scholarships to deserving Indiana State students. Terre Haute native and retired baseball pitcher Tommy John will be recognized as the society's Hoosier of the Year. John ranks seventh all-time for career victories among left-handed pitchers with 288 wins during a 26-year career that saw him play for seven different teams in the American and National Leagues. His longest tenure with any one team - seven years - came with the Chicago White Sox between 1965 and 1971. The entertainers for the event share Indiana State University's commitment to community service. Under the Streetlamp features a quartet of male vocalists who recently played Frankie Valli and the Four Seasons in the Chicago and Los Angeles companies of Jersey Boys. The talented musicians not only perform songs of the ‘60s, including rock, doo-wop, Motown and other favorites, the group also joins forces with performing arts venues and not-for-profit organizations to raise funds for a variety of causes and recently surpassed $2 million in raised charitable contributions. The evening will also feature Miss Indiana 2011, Jackie Jerlecki of Goshen, Indiana, a talented vocalist. For dinner tickets and more information about the Indiana Society of Chicago, please contact Madeleine Lebedow at Indianasociety@aol.com or 847-673-2013 or Robert Heyde at r.h.heyde@gmail.com or 847-989-2696. ISU and the city of Terre Haute will be in the spotlight when the Indiana Society of Chicago Foundation hosts the society's annual dinner Dec. 3. The society will honor ISU and salute the city of Terre Haute during its 106th annual dinner.